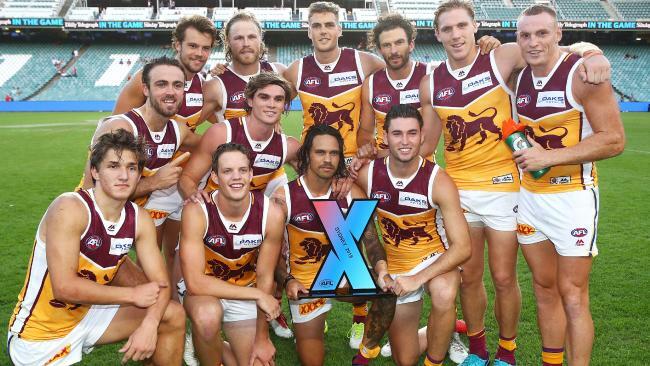 CRITICS have panned AFLX as a waste of time but players, coaches, 9892 fans and Brisbane loved it as the Lions downed the Sydney Swans in a high-scoring grand final at Allianz Stadium on Saturday. 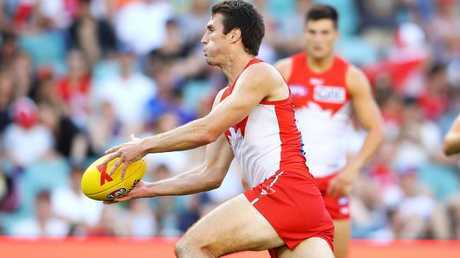 The Swans were forced to back up for the grand final only 10 minutes after finishing their final pool match and it showed as the Lions jumped out to a 37-point lead in the first half. 10-point goals to James Rose and Nic Newman closed the gap to within 16 points with just three minutes left but a goal on the run from Mitch Robinson sealed the deal. Coach John Longmire conceded the back-to-back matches certainly didn't help their cause. 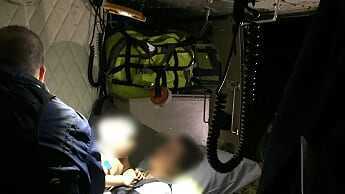 "The boys were buggered in the end," Longmire said. "Harry Cunningham missed the first game and played back to back in the last two and he has really good endurance. It's an exhausting game." Cunningham was one of the Swans' best but admitted he had run out of petrol tickets. The Bulldogs were smashed in both their AFLX outings. "The first game was hard enough let alone backing up 10 minutes later," Cunningham said. "It's fast and exciting but it takes a toll on the players." Hawthorn experienced a similar predicament at Etihad Stadium on Friday night when they had to back up from their final match against St Kilda and play Melbourne 10 minutes later in the grand final, which they lost by 10 points. The Swans coach didn't blame the loss on the match scheduling. "There's a few things we need to look at but that's OK," Longmire said. "That's the purpose of this, to trial a few things and find out what we need to adjust to and to work on for next time. It was good to be part of it." Allen Christensen was the Lions' best player and will be a welcome addition to the team after missing 2017 with collarbone injuries. "Tonight's win was a little stepping stone to where we want to head as a football club," Christensen said. "We haven't had a winning culture so it doesn't matter if it is this or JLT or the season proper we want to win as many games as we can." 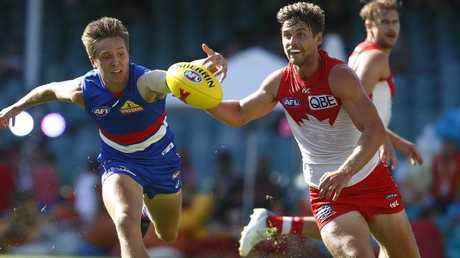 A highlight for the Swans was the goalscoring prowess of defender Dane Rampe who landed three 10-point 'Zooper' goals in the space of five minutes in the first half of their opening match against the Western Bulldogs. Sydney produced the highest score of the three tournaments when they dropped 88 points on the Bulldogs in just 20 minutes of football. The 2016 premiers brought just 12 of an allowable 20 players to the match and lost to the Swans by 52 points and then to the Gold Coast Suns by 66 points. Bulldogs assistant coach Rohan Smith dismissed suggestions they hadn't taken the event seriously. "We didn't get the results we wanted but we did take the game very seriously," Smith said. "There has been a lot of negativity about not too many stars playing but we wanted to showcase our future stars." Aside from the Bulldogs, the tournament had plenty of entertainment value with the defending premiers Richmond almost winning through to another grand final but falling just short after beating the Giants in the opening match by 15 points. Only a Zooper goal from the Lions' Mitch Robinson in the dying seconds of their second match prevented their progress to an encore performance. GWS lost both their matches going down by six points in their second match against eventual winners Brisbane.